The STEMConnector Project, which is designed to transform science, technology, engineering, and mathematics education by encouraging collaboration and identifying and profiling key stakeholder groups, is featuring Girl Scouts on its blog for all the work we’re doing. The STEMConnector.org has a Q&A with GSUSA Chief Executive Officer Anna Maria Chávez about STEM and what we’re doing about empowering girls to get girls excited about careers in the sciences. Chavez is STEMConnector’s STEM Woman Leader of the Day. 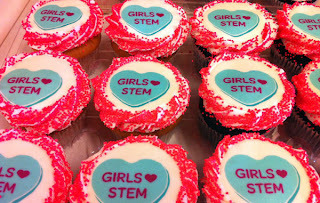 The blog also includes a profile of Girl Scouts and highlights the Girl Scout Research Institute’s study Generation STEM: What Girls Say about Science, Technology, Engineering and Math. It’s very cool. Check it out!